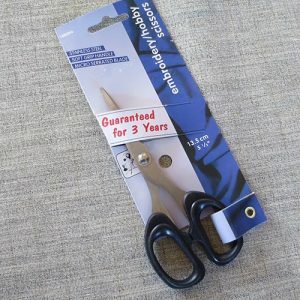 Classic dressmakers’ scissors. Right handed shears with long sharp blades and shaped-handle for effortless long clean cutting action. Long-lasting performance. Right-handed. 25cm/10in. Simply the best. 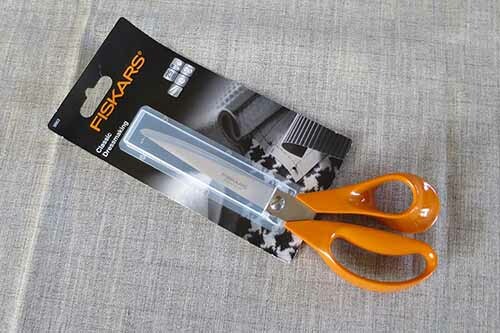 Classic dressmakers’ scissors. 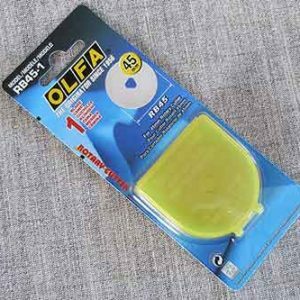 Right handed shears with long sharp blades and shaped-handle for effortless long clean cutting action. 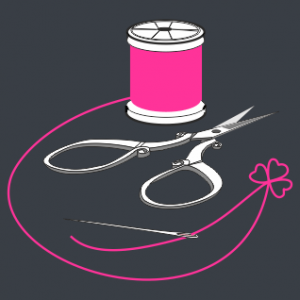 Will cut through denim, polyester and most other fabrics. Long-lasting performance. I’ve had mine for over 30 years, and they’re still sharp! Right-handed. 25cm/10in. 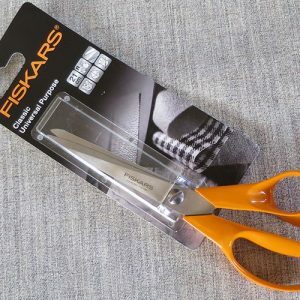 A less expensive alternative to the 25cm dressmakers' shears, this scissors has long sharp blades and shaped-handle for effortless clean cutting action making it ideal for fabrics. Right-handed. 21cm/8.25"